Premium VGA male-to-female video Y-cable supports single VGA signal to two monitors. Connector HDDB15 15-pin (M × 1). Connector HDDB15 15-pin (F × 2). 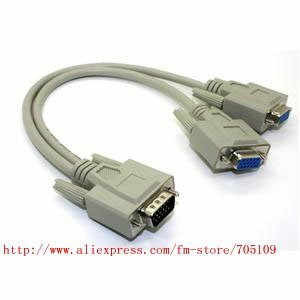 100% new high quality VGA Y-Split cable M / F.